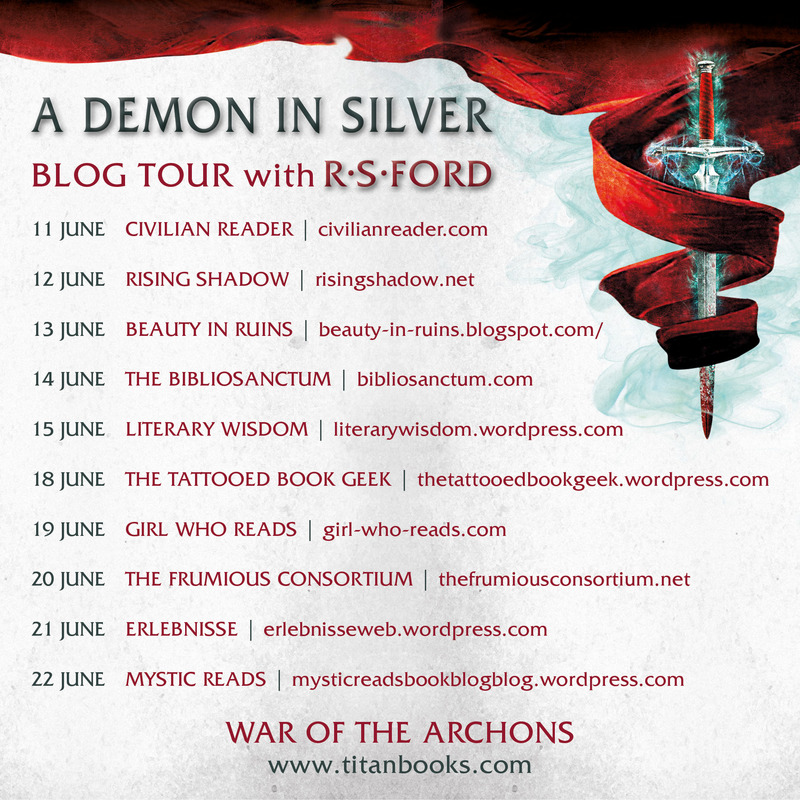 The BiblioSanctum is pleased to be a stop on the blog tour for A Demon in Silver, the first volume of a new trilogy called the War of the Archons by R.S. Ford. 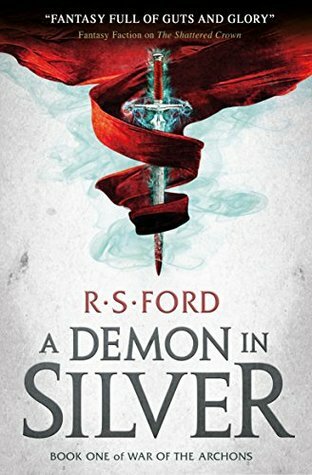 Featuring a cast of fascinating characters and page-turning action, this exciting grimdark fantasy has been described as a refreshing new take on the genre. 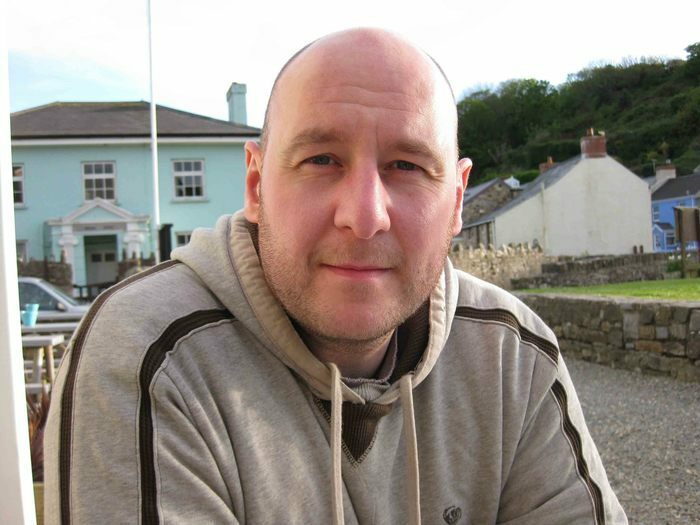 Today we are honored to host the author himself as he shares with us the process behind his writing in a guest post about worldbuilding. Released on June 12th from Titan Books, his novel is now available in bookstores everywhere. Check it out, and be sure to also stop by the other blogs on the tour! I’m going to say it, and it’s not going to be popular: I hate worldbuilding. There, it’s out. Don’t shoot me, but it’s true. I find it the most laborious aspect of the whole ‘fantasy author’ thing. But then, I’ve written in shared worlds where the hard work of crafting your world is already done for you… and by better people than me! I’ve written fiction in the Warhammer 40K universe, a background that’s had over 25 years and myriad writers to develop its rich setting and a history. I’ve written fiction in the world of Joe Dever’s Lone Wolf, a background that was developed over decades, that details an entire continent of unique and diverse cultures and magic systems. I’ll admit – I’ve been spoiled. All the hard work was already done. Now, clearly I’m not known for my own worldbuilding, I am in fact all about the story. I believe a story should be dictated by characters, who will in turn dictate plot. Worldbuilding comes a close third and includes religions and magic systems and nations and histories. For me, the story should inform the world, not the other way around. Where this shows itself most vividly in the novels I’ve written is in the magic and mythology behind them. My two series – Steelhaven and the War of the Archons – are both told in medieval worlds, and both have histories of conflict with warring nations vying for power. However, the mythology and theology of the two worlds is very different, and was dictated by the plot as it developed. The Steelhaven trilogy is set among the Free States, a nation which openly venerates the gods Arlor and Vorena, two deified heroes. There is also worship of the Old Gods amongst the peasantry, and beyond the borders of the Free States are other lands with other pantheons. All of these gods are most definitely imagined by their worshippers though. They have no influence on the plot other than through what the characters believe. Then there’s the War of the Archons, on the surface of it a very similar background to Steelhaven. The three main nations have their own pantheons but only in the way the Greeks/Romans or the Norse/Anglo Saxons had theirs. They worship their own gods, but many are closely analogous, like Odin and Wotan or Vulcan and Hephaestus. The same gods are worshipped in different lands with different names and there’s one important reason for this… the gods are very real. I can’t reveal much else without things getting very spoilery, but needless to say the pantheons were invented after I had worked out my plot. The gods only came to life at the behest of my characters, not as part of years of slavish dedication to creating a unique world. I have the utmost respect for writers who create an entire world populated by a multitude of nations, factions, religions and everything else that goes into worldbuilding. In fact I envy the fun they have. But as someone close once said to me, ‘The three most important aspects of a novel are story, story, story’. Richard Ford originally hails from Leeds in the heartland of Yorkshire but now resides in the wild fens of Cambridgeshire. I have never done any intense worldbuilding but I can imagine it is a very laborious task. Great post! I agree, robust worldbuilding definitely isn’t something that happens overnight. Kudos to the authors who manage it! I always imagined world building for fantasy authors is a thing they do for years and think about it, dream about it, etc. and that it’s pretty much their favourite thing to do 😀 Clearly i know nothing! Yeah, I found myself nodding along to Mr. Ford’s post. I’ve read many epic fantasy novels in the past where story was just not to snuff, and worldbuilding was there just for the sake of it. Agreed, it was interesting. Really appreciate the author for stopping by! Half my comment went somewhere, ooops. Anyway, real Gods…yeah, I might love that hehe. I like when it’s not only fake, but they really are out there doing things. Wohoo fantasy Gods! Being a reader who loves great characters more than anything I couldn’t agree more with this post. I’ve read a number of books recently and they’ve been not only well written but it’s been clear that the author has loved the world they’re building and has gone to great depths to explain things, give previous history, build up the different cultures – and yet those books fell flat for me because they became tedious – and it’s such a shame, not just for the author and the hours of love they’ve poured into their work, but also for the reader because you can’t help but feel guilty when you’re not bowled over by such a book. Less world building, let the characters drive the story and the world will materialise around them without lengthy expositions (I think).